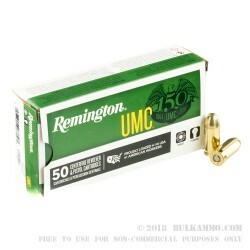 This box of .45 ACP ammunition from Remington is a great choice for high-volume range practice with a 1911, Sig P220, Springfield XD, or other .45 Auto weapon. It fires a typical 230 grain full metal jacket bullet at a muzzle velocity of 835 feet per second. 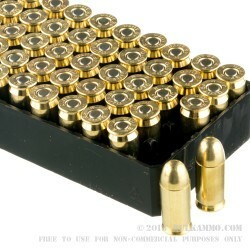 Each box holds 50 rounds in Boxer-primed brass cases. The Union Metallic Cartridge gets its name from its first customer, the Union army in the Civil War. 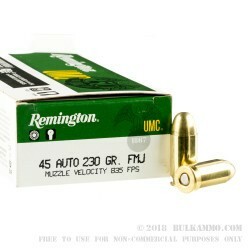 A longtime division of Remington, UMC is notable for being the original producer of centerfire ammo in the US as well as the first to manufacture .22 Long Rifle ammo. The company’s business today centers on producing large volumes of quality range ammunition for major rifle and pistol cartridges. Shot 500 rounds with no problems at all! Only 1 misfire out of 300 rounds,Good Ammo! 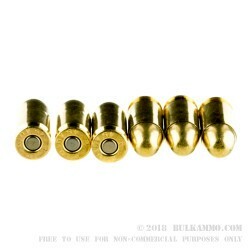 Q: Can this ammo be used in a Pietta .44 black powder revolvers with the conversion cylinder? A: Hi David. I believe that your conversion kit will take the .45 LC ammo or 45 Long Colt. Always check with the manufacturer if you have any doubts. Please keep in mind that even though the conversion kit changes the cartridge used, you should never use any round but those specifically marked "Cowboy Action" or those duplicating the black powder round charges.